Tá cluiche ar siúl an Déardaoin seo, an 3ú lá de mhí Dheireadh Fómhair 2013 in Ath an Mhaide. Tá sé ar siúl ar a 11.00 i gcoinne Rylane National School. Beidh sé thart ag 11.45. Táimíd ag lorg tuismitheoirí R5 chun síobanna a thabhairt dóibh ann. Seol nóta chugam/ cur glaoch ar an oifig más féidir libh tiomáint ann ón scoil agus ar ais chuig na scoile leis na leanaí. Bí cinnte go bhfuil éadaí tirime ag do leanbh i ndiaidh an chluiche. Tá traenáil ar siúl i ndiaidh na scoile ar an gCéadaoin an 2ú do rang a 5. There is a match this Thursday, the 3rd of October 2013, in Riverstick GAA pitch at 11.00 against Rylane National School. It will be over at 11.45. We are looking for a few fifth class parents who are willing to drive the team to Riverstick and back to school afterwards. Please send a note/ ring Hilda if you are available and willing to. Please make sure your child has a change of socks etc. for after the match. There is football training after school this Wednesday, the 2nd for 5th class. Bhí cás míoltóga ghruaige i Rang 1 & 2 le Múinteoir Máiréad. Ba cheart go scrúdófaí gruaig le bhur bpáistí le bhur dtola, páistí sa rang sin ach go háirithe. We have been informed there was a case of headlice in Muinteoir Mairéad's 1 & 2nd class. Everyone should check their child's hair, especially children in that particular class group. Táimid ag plé an Fhómhair sa rang faoi láthair. Tabhair isteach comharthaí an Fhómhair, mar shample duilleoga agus cnónna. (Déan cinnte go bhfuil siad glan agus tirim). Cruinniú oíche Dé Máirt, an 1ú Deireadh Fómhair '13, ar 8 a chlog san ionad mainistir do thuismitheoirí leanaí atá ag déanamh an Chéad Comaoineach. There will be a meeting tomorrow night, Tuesday 1st October '13, at 8 o'clock at the Friary Centre for parents of children doing their First Holy Communion. Remember PA school news is published on the separate site "Nuacht Eile"
Tá treanáil peile ar siúl amárach (an Céadaoin, an 25ú Meán Fómhair 2013) i ndiaidh am scoile i gcomhair peileadóirí Rang a 5. Beidh cluichí acu an tseachtain seo chugainn. Football training is after school tomorrow (Wednesday the 25th Sep 2013) for footballers in 5th class. There will be two matches next week. Fé mar is eol daoibh ar fad beidh foireann sinsir Chorcaí ag ath-imirt an cluiche ceannais i gcoinne an Chlár i bPáirc an Chrócaigh ar an Sathairn beag seo. Chun ár dtacaíocht a thaispeáint arís beidh cead ag na páistí bratacha Chorcaí agus a gcuid éadaí dearga a chaitheamh ar scoil arís ar an Aoine (27th Sep 2013) . Spreagfaidh sé suim iontu tá súil againn! As you all know the Cork Senior hurling team are replaying the All Ireland final against Clare next Sat evening in Croke Park. To show our support the children may wear their jerseys and/or red clothes to school on Friday (27th Sep 2013) and bring in their flags etc. That should get them interested in the game! We are still looking for volunteers to come and help covering books from 8pm on Tuesday 24th September 2013 at the Gaelscoil. We just ask that you please bring your own scissors! 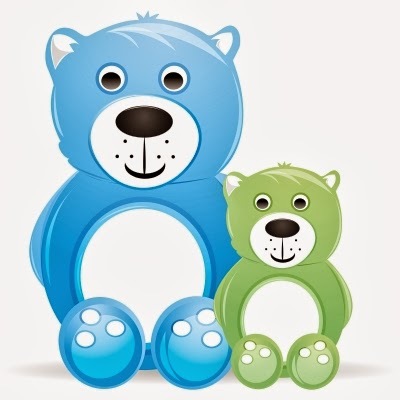 PS: just a reminder for new parents that PA news is normally posted on the separate site "Nuacht Eile / Other News" for which there is a separate email subscription service that you need to sign up for. Click here for details. Beidh picnic na mbéar againn ar an Aoine an 27ú Meán Fómhair 2013 i rang na naíonáin bheaga. Mar sin tá cead ag gach páiste an béar is fearr leo a thabhairt ar scoil ar an lá. Táimid ag súil go mór leis. We will have a teddy bear's picnic on this Friday the 27th September 2013 in the Junior Infants Class. Therefor every child has permission to bring in their favourite teddy bear to school on the day. We are really looking forward to it. Chuaigh nóta abhaile inné an 23ú Meán Fómhair 2013 faoi gruinniú i gcomhair tuismitheoirí leanaí atá ag déanamh an Chéad Chomaoineach. Beidh an chruinniú ar siúl san uinad mhainistreach an Máirt seo chugainn ag a 8 a chlog, an 1ú lá de mhí Dheireadh Fómhair. Sínigh an bhileog agus seol isteach arís é, le bhur dtola. A note was sent home yesterday (Monday 23rd September 2013) notifying parents of children who are doing their First Holy Communion about a meeting taking place on Tuesday 1st October 2013 @ 8pm in the Friary Centre. Please sign the note and send it back into school. It is important to attend this meeting. D'iarr mé ar fear an bhus coras nua a thosnú ar maidin cúpla seachtain ó shin. In ionad tiomaint isteach agus pairceáil laistigh d'iarr mé air stopadh ag geata na scoile chun na páistí a ligeant amach ansan. Tá sé ag cur bac le teacht agus imeacht na ngluaisteáin d'aon gnó ar feadh tuairim is 90 soicind. An cúis leis seo ná go raibh deacrachtaí ag an mbus casadh ar maidin de bharr páistí ag siúl taobh thiar den mbus. Tá sé intuigthe go stopfadh gach gluaisteáin eile idir teacht agus imeacht ón scoil don tréimhse gairid seo. Gabhaim pardún as aon moill a cuireann seo ar dhaoine ach is ar son sábháilteacht gach páiste atáimíd á dhéanamh. Ár mbuíochas as ucht bhur bhfoighne. I asked the bus driver to put a new system in place afew weeks ago. Instead of turning into the school and stopping on the yellow box I asked him to turn down the road, stop at the entrance (blocking it) and drop the children there. He will stay there until the children are safely on the path outside the school. Blocking the entrance is obviously intended to stop traffic entering and exiting the school for approximately 90 seconds while the children disembark. This system is in place as the bus was having difficulty reversing into the yellow box due to children walking behind the reversing bus. It is understood that all cars both coming to and leaving the school will stop to allow for this short delay. I apologise for any inconvenience caused by this short delay but it is for the safety of the children involved. Thank you for your patience. Aire Gach Duine / Attention Everyone !! Beidh beirt d'ár daltaí, Oscar Ó Laoi agus Seán Ó Cumascaigh (Rang 2), ar an teilifís ar 8.25 maidin Dé Chéadaoin seo 25.09.2013 ar TG4. 'Bia Linn' is ea an t-ainm ar an gclár agus cócaireacht a bheidh i gceist. Beidh aththaispeáint ar 3.40 ar an Déardaoin 26.09.2013. Beimid ag tnúth le sin! Two of our students, Oscar Ó Laoi agus Seán Ó Cumascaigh (2nd Class) will be on television at 8.25 a.m. this Wednesday morning 25.09.2013 on TG4. The name of the programme is 'Bia Linn' and it is a cookery programme. We will be really looking forward to it! Bhí botún sa bhille scoile inné. Tá sé ceartaithe anois. Gabh mo leithscéal faoin mbotún. Maidir leis na billí leabhair tá míniú thíos ar roinnt dos na costaisí atá ann..
Clúdaíonn sé an pháiste 24 uair an chloig. Má bhíonn timpist ag do pháiste ar scoil nó fiú lasmuigh d'am scoile clúdaíonn sé costaisí doctúire srl. is féidir na foirmeacha a fháil ó shuíomh Allianze más gá. Praghas na múinteoirí seachracha a thagann isteach chun na rudaí éagsúla a mhúineadh. Filteáin S.A.L.F. Scéim nua féin mheastóireachta atá le déanamh sna ranganna éagsúla. Is éard atá i gceist leis an scéim ná go spreagadh a thabhairt dos na páistí a ndícheall a dhéanamh oibriú ar aghaidh ar an gcaighdeán is airde gur féidir leo féin. Spreagann an féin-mheastóireacht na páistí chun féachaint ar a gcuid oibre go criticiúil agus uaidh sin caighdeán níos airde a lorg uatha féin. Sa bhfilteán S.A.L.F tá rannóg ann do gach ábhar scoile. Coimeadann na páistí na leathnaigh oibre a cheapann siad gur fiú cur isteach iontu don bhliain ar fad. Beidh seans ag na páistí a filteáin a thaispeáint don rang ag amannta éagsúla don bhliain. Bíonn bród acu as na fillteáin seo. Maidir leis na leabhair atá ar cíos. Táimid ag ceapadh go mbeidh orainn na leabhair a cheannach arís gach 3-5 bhliain sna ranganna níos sinne agus sin conas a thángamar ar na praghasanna. Bheadh na leabhair léitheoireachta Séideáin Sí agus PM dos na ranganna níos óige i bhfad ró-chostasach le ceannach gach 3-5 bhliain mar sin táimid ag súil go leanfaidís níos faide ná sin. Na daoine a fuair Dialann obair bhaile ón scoil nó/agus an leabhar Éire (Rang 5) ba cheart daoibh an t-airgead breise a cur le do bhille. Go raibh maith agaibh. Athnaímid go bhfuil daoine faoi bhrú maidir le hairgead agus gur mór an méid atá ar na billí seo ach cuirim i gcuimhne daoibh nach bhfuil am proifíd á dhéanamh ag an scoil. Aon breis-airgead a bhíonn ann cuirtear thar nais sa scoil í ar achmhainní éagsúla dos na páistí. There was a mistake in the school bill yesterday. It is corrected now. Apologies for this. This covers the child for 24 hours a day. If your child has an accident at school or even outside of school hours it covers doctors costs etc. Claim forms can be obtained on Allianz website if necessary. - running costs of the photocopier, ink, printing, paper, pencils etc for classes up to 1st Class (and onwards as necessary), art supplies. Markers for art and for the whiteboards. Stamps, postage costs etc., membership fees to Catholic Primary Schools Management Association. Price of the external teachers that come in to teach the various different classes. S.A.L.F. Folder. A new self assessment scheme that is being carried out in the different classes. This scheme encourages the children to do their best in achieving the highest standard for themselves. The self assessment encourages the children to look at their work critically and thereby achieve a higher standard for themselves. In the S.A.L.F. there is a section for each school subject. The children keep the worksheets that they are think worth keeping in the folder for the whole year. The children get the opportunity to show their folder to the class at different times in the year. They have pride in this folder and are encouraged to improve it all the time. With regard to the rental cost of books, we imagine that we will have to buy the books again every 3-5 years in the older classes and that is how we calculated the prices. Books will be lost and damaged so we tried to factor this into the rental cost. The Séideáin Sí and PM readers for the younger classes are far too costly to buy every 3-5 years so we are hoping that they will last for longer than that. The people who received the school homework diaries and/or the book 'Éire' (5th Class) from the school should put the extra cost on their bill Thank you. We realise that people are under pressure financially and how much the books cost but remember the school does not make any profit from these items. If there is any surplus it is put straight back into buying extra resources for all the children. 2013/2014 Leabhair ar cíos ón scoil agus costaisí eile éagsúla / Books rented from the school and various other costs. Seo dhaoibh na billí leabhar i gcóir 2013/2014. Bheinn an-bhúioch díobh dá níocfadh sibh astu chomh luath agus is féidir. Tá clúdach litreach seolta abhaile i ngach mála scoile inniu. Líonaigí isteach gach rud ar an g clúdach agus cuirigí an tairgead inti le bhur dtola. Cabhraíonn sé seo go mór le cúntaisí na scoile. For books rented from the school and various other costs. Here are the book bills for 2013/2014. We would be very grateful if you could pay them as soon as possible. There is an envelope sent home in every school bag today. Please fill in everything on the front of the envelope and put the money/cheque inside. This helps a great deal with the school accounts. Then drop in payment to the school office when you can. Anuraidh bhí deis ag Rang 4 triall a bhaint as ranganna Fraincíse saor in aisce ar feadh 5 seachtaine, buíochas mór le Natasha Uí Fhaircheallaigh. Bhain siad go léir an-taitneamh as agus fuaireamar aischothú iontach ag an deireadh. Tá sé ar intinn againn ranganna Fraincíse a cur ar fáil do Rang 5 do chúrsa 20 seachtaine i rith am scoile. €15 a bheidh ar an 20 rang seo. Tosnóidh siad i Mí Deireadh Fómhair ar feadh 10 seachtaine agus ansan 10 seachtain eile tar éis aimsir na Nollag. Tá an €15 ar an mbille leabhair inniú mar sin níl aon ghá len í a sheoladh isteach léi féin. Beidh deis ag Rang 4 na bliana seo triall a bhaint as an bhFraincís ar feadh 5 seachtaine sa 3ú téarma saor in aisce chomh maith. Mó bhuíochas arís le Natasha. Last year 4th Class had an opportunity to try out French classes for free for 5 weeks, many thanks to Natasha Farley. They all enjoyed it very much and we got terrific feedback at the end. We are going to provide French classes for 5th Class for a 20 week course during school time. They will start in October for 10 weeks and then 10 more weeks after Christmas. These classes will cost only €15. The €15 is on the book bill today so there is no need to send it in separately. This years' 4th Class will also have an opportunity to try out French classes for free for 5 weeks in the 3rd term. Many thanks to Natasha again. Tá ranganna Ghaeilge do thuismitheoirí ag tosnú sa Scoil Phobail. Clárú ar an Déardaoin an 19ú Meán Fómhair 2013. Seans an-mhaith chun snas a cur ar bhur nGaeilge! There are Irish Classes for parents starting at the Community School. Registration is on Thursday 19th September 2013. A good chance to polish up your Irish! Tá an fhoireann ag imirt cluiche amárach (Dé Chéadaoin) an 18ú, i Maigh Chromthe. Tá siad ag taisteal ar bus. €2 an leanbh, le bhur dtola, chun chuid den praghas a chlúdú. Beidh siad ag fágaint ag 11.30. 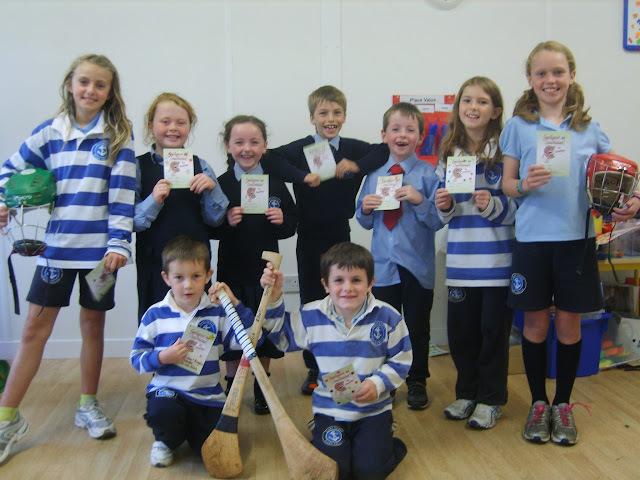 Beidh siad ar ais i ndiaidh am scoile, ag 3.00. Bailigh do leanbh ag a 3.00 sa scoil. The football team are playing a match tomorrow (Wednesday 18th September 2013) in Macroom. They are travelling by bus. It's €2 per child, please, to cover part of the cost. They will be leaving at 11.30 am. They will be back again after school time, at 3 p.m. Please collect your child at 3.00p.m. at school. The Parents Association AGM will take place on Tuesday 17th of September 2013 at 8pm at the scoil. A new committee will be selected at this time. Please come along and support your child's scoil. Tá cúpla foirmeacha eolais oráiste fós le teacht isteach. Má tá siad caillte agaibh tá cóipeanna breise ag Hilda san oifig. Mura bhfuil sé déanta agat go dtí seo, déan cinnte de go dtabharfaidh do pháiste isteach grianghraf le cur ar an bhfalla. Fé mar a dúaireach ag an oíche eolais, níl cead ag leanaí i rang M. Michelle aon saghas pís cnónna a bheith acu. 'Sé sin pís cnónna, im le pís cnónna, barra le pís cnónna srl. a bheith acu. Rinne mé dearmad a mhíniú daoibh faoi an bpolaisí atá againn i leith cuirí breithe a dháileadh ar scoil. Tá an scoil lán sásta cuirí a scaipeadh má tá ceann do gach buachaill nó do gach cailín sa rang, nó má tá ceann do gach pháiste sa rang. Sa tslí seo níl aon duine fágtha amuigh. There are still a few orange information forms to come in. If you have lost yours Hilda has extra copies in the office. If you have not done so already, make sure your child brings in a photograph of himself / herself to put on the wall. As was said at the information evening, children in M. Michelle's class are not allowed to have any sort of peanuts. That is peanuts, peanut butter, bars with peanuts etc. I forgot to explain to you at our information evening the policy we have about the distribution of birthday party invitations at school. The school is very happy to distribute invitations if each boy / girl in the class has an invitation or each child in the class has one. In this way nobody is left out. Táimid lán sásta sibh a chur ar an eolas faoi na ranganna clársach ag atá tosnú an mhí seo (Meán Fómhair)! Is múinteoir iomlán cáillithe í Róisín Uí Shúilleabháin agus tá a lán taithí aici i múineadh páistí óga. Tá fáilte roimh gach aois agus is féidir na cláirsigh a fháil ar cíos. Beidh na ranganna i rith an lá scoile. Beidh na páistí ag fágaint a ranganna chun freastal ar na ceachtanna cláirseacha mar sin beidh orthu aon obair a chaileann siad a dhéanamh ina nam féin. We are delighted to announce that Irish Harp Lessons are beginning this month! Róisín Ní Shúilleabháin is a fully qualified music teacher and has lots of experience teaching young children. All ages are welcome and a harp rental scheme is in place. Lessons will take place during school hours. Children will leave their classrooms for these lessons and so will have to make up any work missed whilst out of class in their own time. Tá traenáil peile ar siúl amárach i gcomhair rang a 5 amháin dos na daoine a bhí ag traenáil anuraidh, Ó 2.30 go 3.30 a bheidh sé ar siúl. Beidh cluichí 'sciath na scol' ag teacht suas go luath. Tá an chéad cluiche ar an gCéadaoin seo chugainn. Beidh níos mó eolas ag teacht. There is football training after school tomorrow, for Fifth class students who play gaelic football and who were training with us last year, between 2.30 and 3.30, in preparation for the Sciath na Scol league. The first match is next Wednesday. More information will be provided soon. Traenáil iománaíochta gach Céadaoin ar scoil. Tabhair isteach clogad, camán agus loirgeáin má tá siad agaibh. Hurling training every Wednesday at school. Bring in a helmet, a hurley and shinguards if you have them. Hurling training every Friday at school. Bring in a helmet, a hurley and shinguards if you have them. Tá an foirm 'Cead dul ar Imeachtaí na Scoile' sna málaí scoile inniu. Líon isteach agus seolaigí thar nais iad chomh luath agus is féidir. The 'Permission for going on school outings' form is gone home in the school bags today. Please fill in for each child and return as soon as possible. An Lá Dearg - Corcaigh Abú! Fé mar is eol daoibh ar fad beidh foireann shinsir Chorcaí ag imirt i gcoinne an Chláir i gCluiche Ceannais Iománaíochta na hÉireann ar an Domhnach. 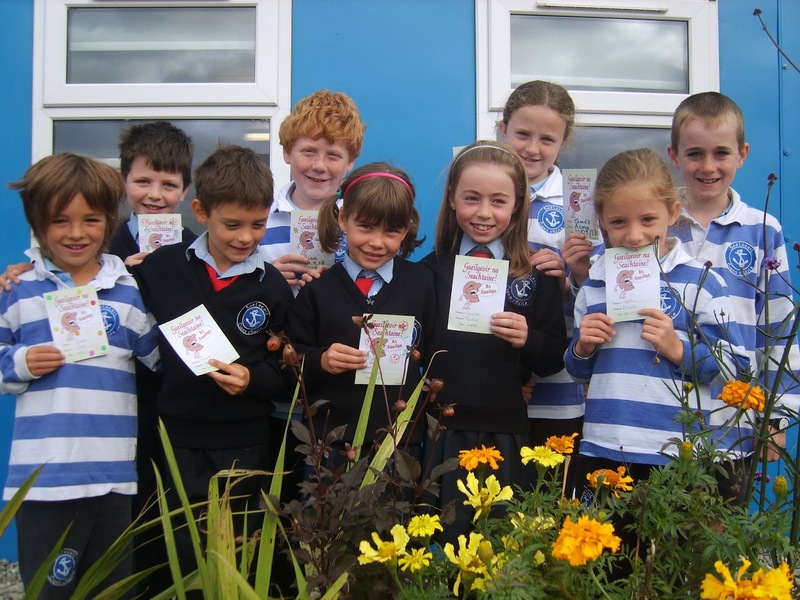 Ta cead ag na páistí eadaí dearga a chaitheamh ar scoil amárach (06.09.2013) chun an ócáid mór a chéiliúradh agus chun sceitimíní a spreagadh iontu! Corcaigh abú! As you're all aware the Cork senior hurling team are playing in the All Ireland final next Sunday against Clare. 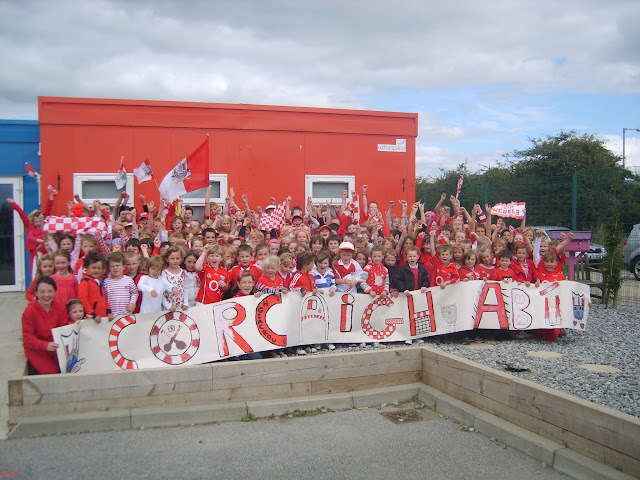 To build excitement the children may wear their Cork jerseys and/or red clothes to school tomorrow (Friday 6th Sep 2013) in anticipation of the great event! Up the rebels! Violin lesson will be available in Gael Scoil Chionn tSáile again this year, run by Ciara O'Halloran (MMEd, BMus, CertESA). Ciara teaches the lessons in a modified approach to group violin teaching based on the Suzuki Method. This method encourages aural learning over music reading to begin with and emphasises the importance of peer interaction. Ciara completed her Masters in Music Education in Chicago so also draws on the American approach to group violin teaching during the lessons. Students attend lessons once a week in a group class on Wednesday mornings and are required to practice daily as part of their homework. Lessons are €7 per week which are paid per term 3 times a year. Term 1 is €98 which runs from September 2013 to Christmas over 14 weeks , due September 11th 2013. 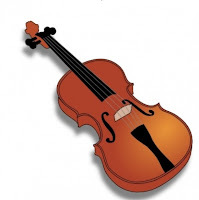 Students attending will need a correctly sized violin & bow (Pro Musica measure students in their store on Oliver Plunkett St) a shoulder rest or sponge & elastic band to support the violin and a folder with plastic sheets for their course work. The first class for new beginners usually involves group games and learning the parts of the instrument so a violin wouldn't be required for the lesson until September 18th. Classes are open to rang 1 and upwards. Those interested in attending this year (both new students and current) can contact Hilda in the office and confirm they would like to avail of a place. Chun brú a chur ar an rialtas roimh an mbuiséad chun chun bunoideachas a chosaint, tóg cárta poist, atá le fáil in oifig na scoile ar an mballa, agus seol ar aghaidh é le bhur dtola. The INTO have started a campaign to protect primary education against further cuts in the coming budget. Please take a postcard from the school office, sign it and send it on to the Dáil to support the campaign. Tá an griangrafadóir ag teacht ar an Luan an 9ú Meán Fómhair 2013 chun griangrafanna a thógaint dos na Naí Bheaga agus dá ndeartháireacha agus dá ndeirfiúracha. Déan cinnte de go bhfuil éide scoile iomlán agus agus néata á chaitheamh go néata ag na páistí, mar is gnáth. Ba mhaith le Múinteoir Michelle dá dtabharfadh gach páiste isteach sean grianghraf dóibh fhéin don rang ealaíne ar an Aoine. Beidh oíche eolais do thuistí na naí bheaga ar siúl sa scoil ar an Mháirt seo chugainn, an 10ú Meán Fómhair 2013 ag a 6 a chlog. Cruinniú gairid a bheidh i gceist. Our school photographer is coming on Monday the 9th September 2013 to take photos of the Junior Infants and of their brothers and sisters. Make sure that they wear their full school uniform and shoes neatly, as per usual. Múinteoir Michelle would like for her class to bring in an old photograph of themselves for her art class on Friday. There will be an information evening for the parents of Junior Infants at school on Tuesday next, 10th September 2013 at 6 o'clock. This will be a short meeting. 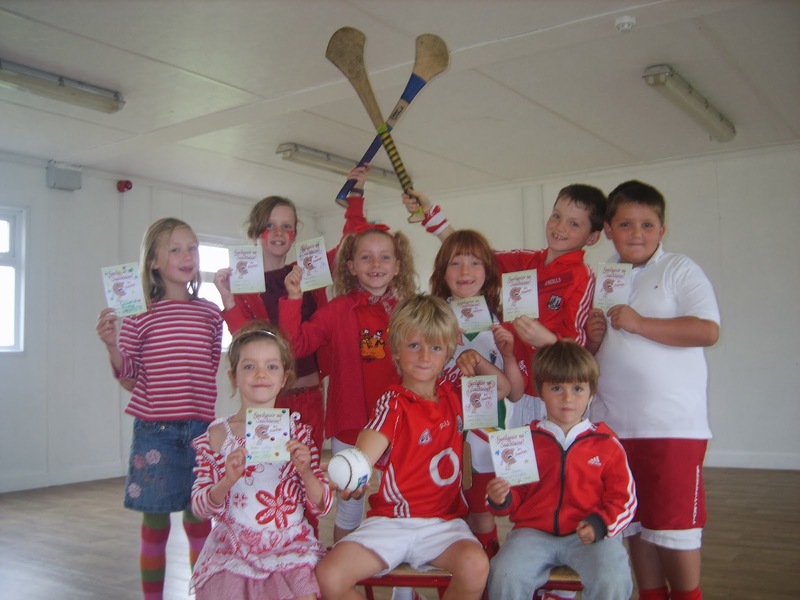 Laethanta Spóirt, leabhair.. / Sports days, books..
Táimid ag déanámh socraithe maidir le spóirt sa scoil. Go fóill táimid tar éis Dé Céadaoin agus Dé hAoine a roghnú. Ba cheart go gcaitheadh gach rang seachas rang 1&2 an éide spóirt ar na laethanta san. Beidh traenáilí haca ó lasmuigh ag teacht chun haca a dhéanamh ar gach Déardaoin ar feadh 4 seachtaine ag tosnú ar an 05/09/2013. Beidh bliotz ar siúl ansan ar an 03.10.2013 i Sáile i gCionn tSáile. Mar sin ba cheart go gcaitheadh Rang 1&2 an éide spóirt ar an gCéadaoin agus an Déardaoin go dtí an 03/10/2013 agus ansin Dé Céadaoin agus Dé hAoine cosúil le gach éinne eile. Tá súil agam nach bhfuil san ró-chasta. Beidh costas €1 don 4 seachtaine an pháiste ar an traenáil haca seo, ach cuirfear san ar an mbille scoile daoibh. Bhí roinnt botúin beaga ar na liostaí leabhair. Ní raibh aon dialann scoile air agus ní raibh roinnt leabhair ó Rang 2 air. Tá na leabhair sin ordaithe anois agus ag teacht go luath. Cuirfear ar an mbille scoile iad chomh maith. Brón orm faoi aon mearbhall. We are doing out our school timetables in the school and we have chosen Wednesdays and Fridays for sports days. The children should wear their sports uniforms on those days - except for classes 1+2. An external trainer is coming to the school to do hockey with 1st and 2nd Classes and can only come on Thursdays until the 03.10.2013. There will be a Blitz on that day in Sáile. Therefor until 03.10.2013 1st and 2nd Classes should wear their sports uniform on Wednesdays and Thursdays, and after that date wear them on Wednesdays and Fridays like the rest of the school. I hope that isn't too confusing. Each child in 1st and 2nd Class should pay €1 for the 4 weeks training. We will put that on their school bill for you. There were a number of mistakes on the school book lists. There was no homework diary and a few books from 2nd Class didn't appear on it. These diaries and books have been ordered and will arrive shortly. These will be added to the school bill also which will go out as soon as everything is settled. Apologies for any confusion.